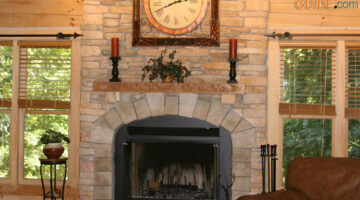 Fireplace Design & Placement Ideas To Help You Answer The Question: Fireplace Or No Fireplace? A tribute to all the fireplaces we never used… and the one we’re putting in our new log home. Fireplace design & placement ideas that helped me…you too! 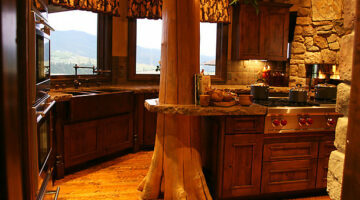 Pictures Of Rustic Columns & Poles Inside Log Homes …Some Are Real Trees! If log homes are your thing and ‘rustic’ is your game, then you’re going to love these pictures of REAL tree accents and the use of rustic looking logs — or heavy timber — inside a log home. You’ll also see photos of fun ways to incorporate trees and heavy timber logs into the EXTERIOR characteristics of your log home. 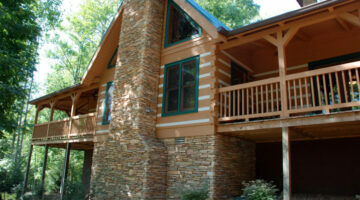 The following log home pictures will show you various ways to enhance your log home with natural stone.